Chronological, Functional or a Combination of Both? Which is best for you? There are times when a chronological formatted resume is best and other times when you will want to use a functional formatted resume. Most job seekers use a chronological resume; however, if you are changing careers , industries or transitioning from government/military to private sector/civilian jobs, the functional resume is your best bet. A chronological resume lists your job progression, experience and skills in reverse chronological order, starting with the most recent. Worked a long time? Consider deleting those positions which are over 10 – 15 years ago. Most employers are interested in reviewing your most recent positions rather than a string of jobs which are dated and, possibly, unrelated to the one you are now applying for. 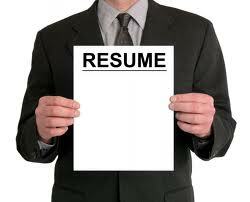 A functional resume highlights your accomplishments and skills. It is ideal when your goal is to identify the potential employer of your transferable skills more than where and when you acquired them. A Combination resume is customized to highlight your strong and continuous job progression as well as your expertise and skills. Depending upon the job being applied for, it is best to customize it with specific skills relevant to the posted position. Start with highlights of your skills and accomplishments, followed by the chronological references to jobs held. Identify no more than five signature strengths and skills, adding details to support them.